I'm leaving for ScrapFest today. I'll be there tonight and Saturday in Oshawa. All Bisous Scrapbooks stock is on sale. 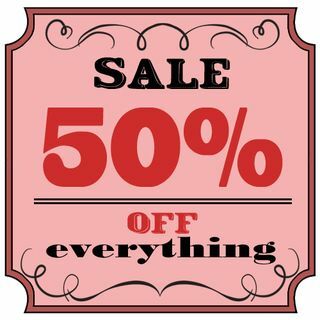 Everything will be 50% off of already reduced pricing…less than wholesale. If you want in on it be sure to get there early as I will have limited stock in certain items. You can see everything I'll be selling here. I will have Pretty Darn Quick Album in an Afternoon kits, PDQ Journaling Pads, open stock single sided papers, stickers, chipboard and CUTouts.